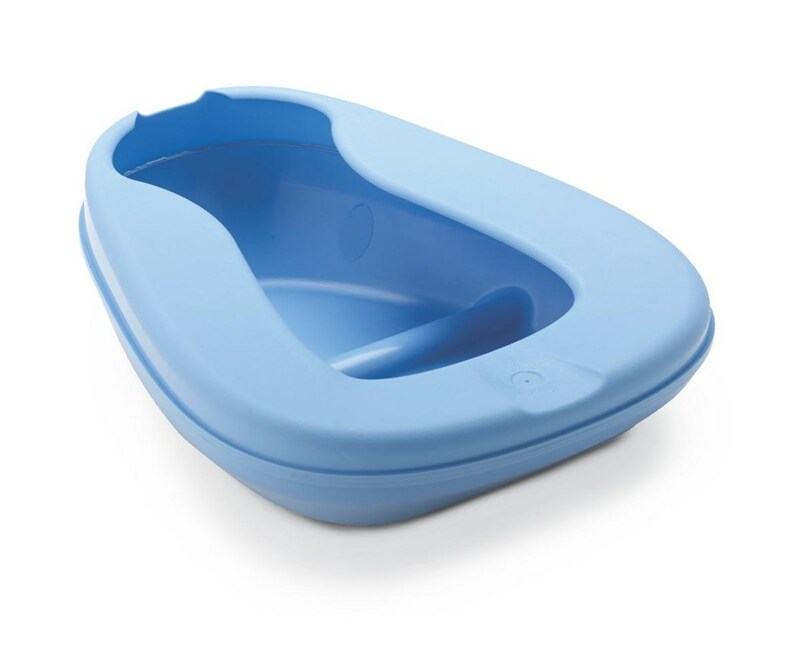 The Contour Bedpan is a plastic, lightweight saddle shaped pan. It features a high rolled front and undercut rear to prevent spilling. The contour bedpan has a coccyx grove for added comfort and a non-stick surface. This product can be purchased in graphite, gold or blue. Only the blue model is autoclavable. The pan measures 4.25” in height, 13” long and 11” wide. It has a weight capacity between 320-350 pounds. 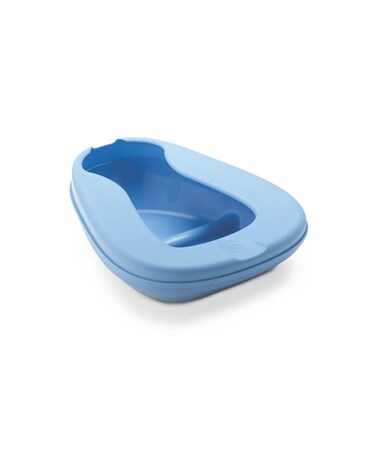 Purchase the Contour Bedpan right here online, select a color from the drop down above and press add to cart!